On our trip back in the May half-term, we stayed in three different hotels. The first place that we stayed at was a classic resort by the beach, with pools, several restaurants, and evening shows, down in Nusa Dua. 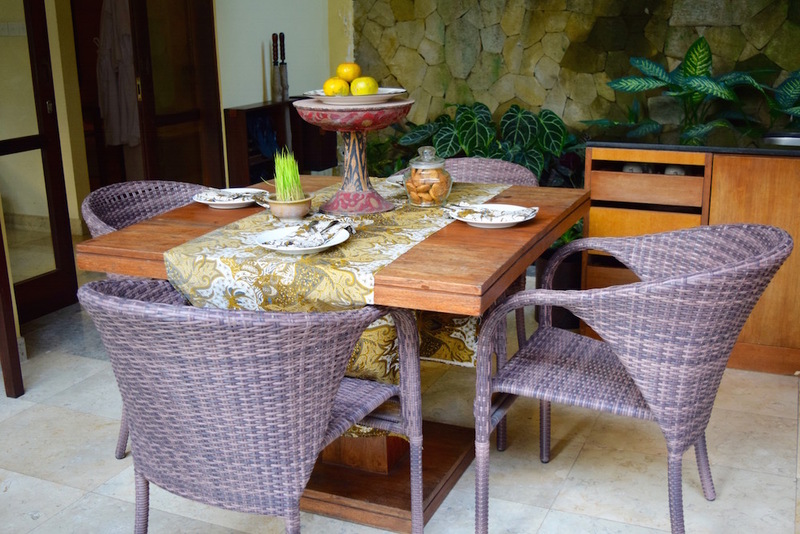 The final place that we stayed was a small quaint Airbnb type of place in Sanur. 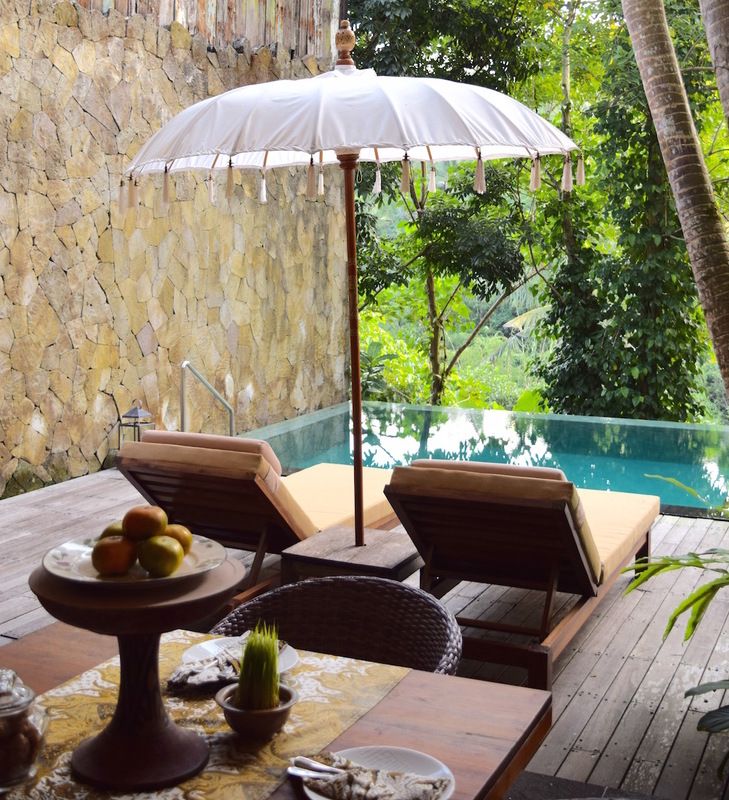 But I think the favourite place that we stayed was where we stayed in the middle of our trip, whilst we were in Ubud. 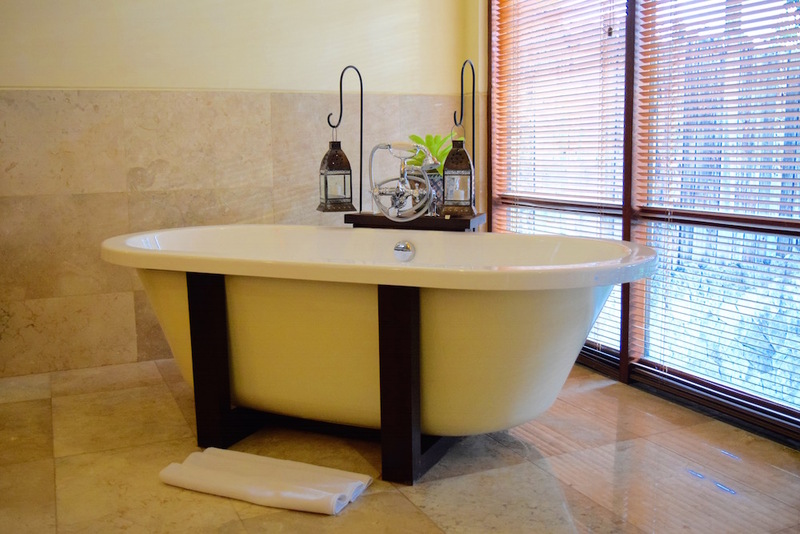 We stayed at the Komaneka Bisma, which was just a small walk away from the main area of Ubud. It is an in-land area, so with kids, a place what had a pool was a must in the heat. There were several room options, but we chose a family villa, as it was a place that had its own pool, though the hotel itself does have two communal pools. I was blown away by the hotel! When we were driving up to it I had no idea about how it would be, as it was all quite built up, and I’d seen pictures of rice fields and stunning views. But just as you got closer, you start to see more and more green. We were welcomed by the staff, and our bags taken to our room. They were waiting with cookies and fresh juice for us, as they went through the checkin process. They talked us through the hotel, and all that there was to see and do, and then took us to our villa. It was honestly incredible! 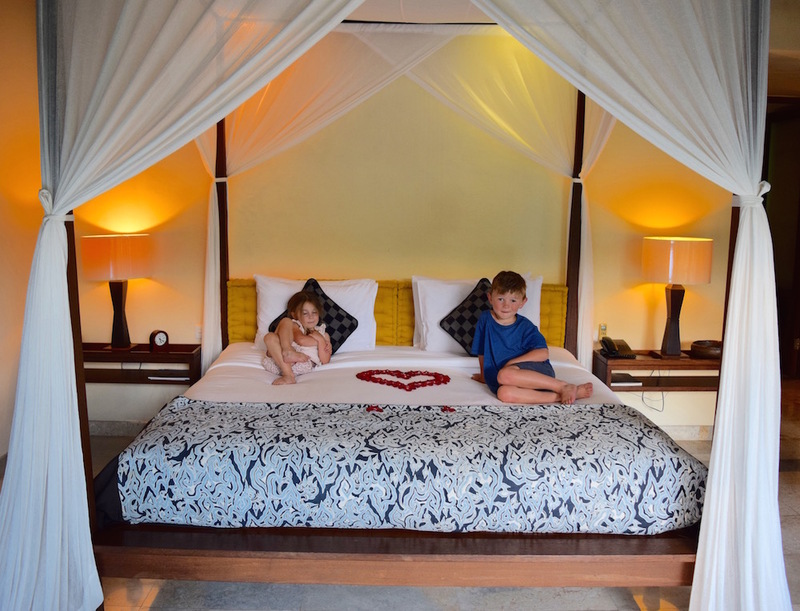 I thought we had one room, with the kids on sofas, so I was blown away when there was an upstairs with a four poster bed and freestanding bath up there. 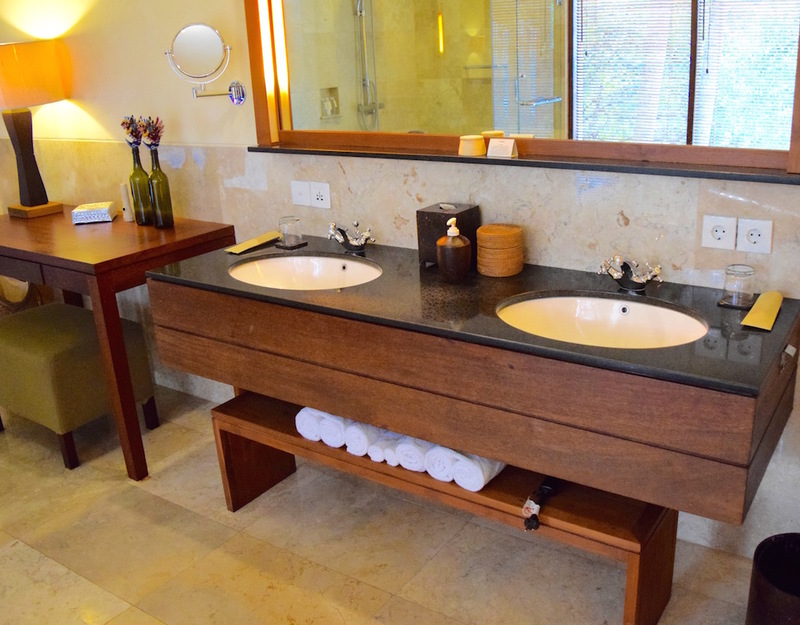 The place was beautiful, the attention to detail was amazing, and it was clean and tidy. For the cost of the villa, I really think that you get value for money. The food that is included, breakfast and afternoon, were brilliant (though it was a Bali-syle afternoon tea, so no scones in sight lol). You can get free bottles water and as many cookies as you want (the kids loved that). In fact, we all got given a little box of cookies each as we checked out. The small things like that really made a difference to the overall experience, as that isn’t something I have encountered before. 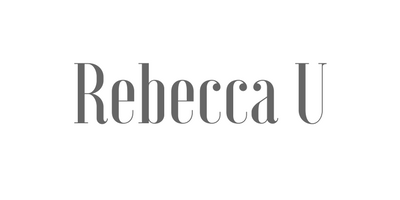 The staff were so attentive and provided really great service. I found this was the case in all of the hotels that we stayed at to be fair. The Indonesian people are just really friendly, and they love asking about England. They’re great with little ones too. The staff all spoke English, and were helpful when we had any questions. 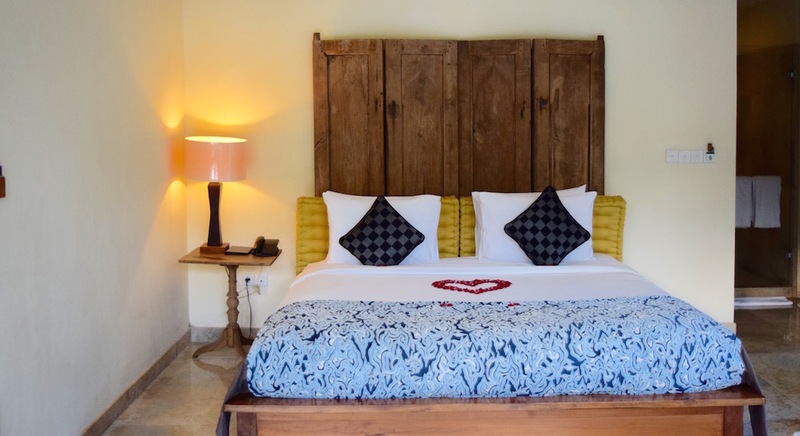 The location is fab, with just a walk into the main ‘strip’ area of Ubud, with free shuttle buses going down to the Monkey Forest and museums from the hotel too. 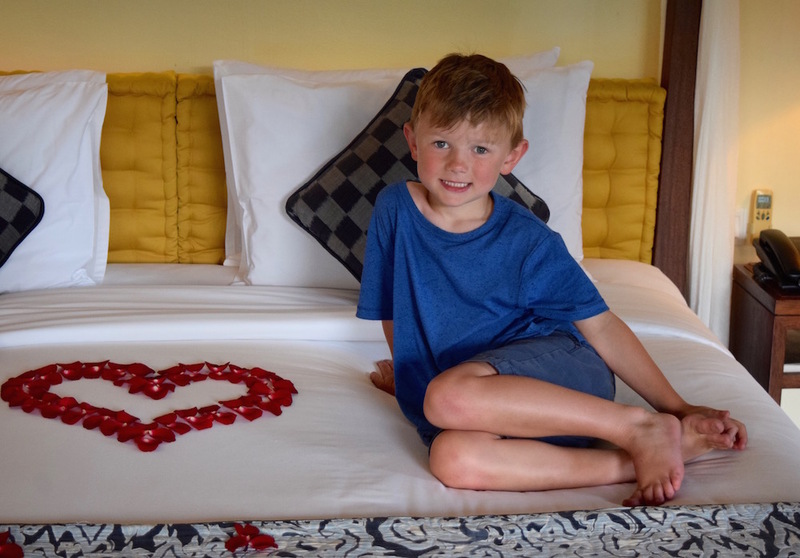 Ubud generally was quite ‘gap year’, but if you were honeymooning, or just wanted a family adventure like us, then this hotel is amazing. The scenery and the views are stunning; I had to keep pinching myself that we were really sat eating breakfast in the jungle. It really was a once in a lifetime trip for us, but I would love to visit again and stay here for sure. It was amazing. 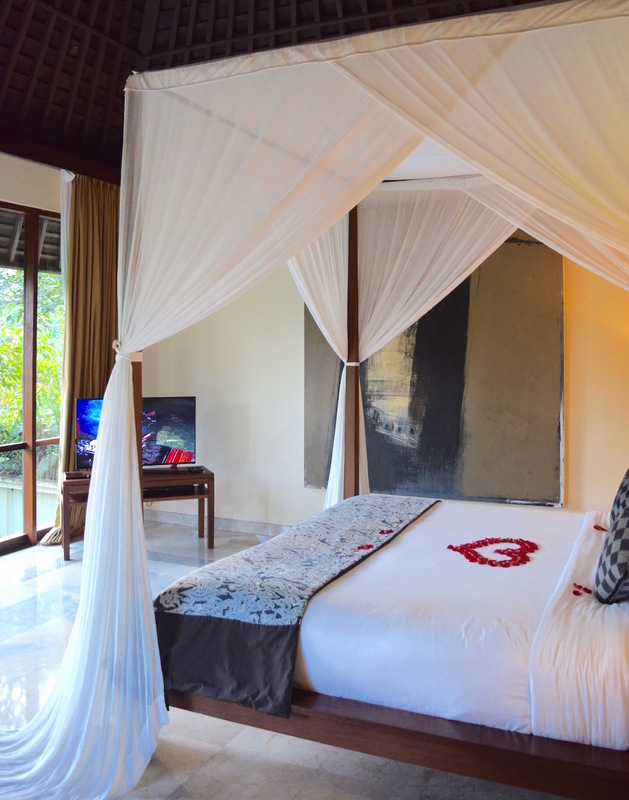 It really sounds like a trip of a lifetime and I had always thought that Bali was beautiful but my god this hotel is something else isn’t it? I love that you even had a private infinity pool as well. Wow, this looks incredible and I love the look of the pool. Looks totally amazing and it brought back a lot of great memories for me remembering my own trip nearly 10 years ago. Totally love the seating lounge area as its so spacious. What a really stylish hotel and the pool is amazing. Sounds like great hospitality too! Wow! What an amazing villa and that pool is fab- I would so love to take the family there! Your pics say it all! wow what a beautiful hotel! 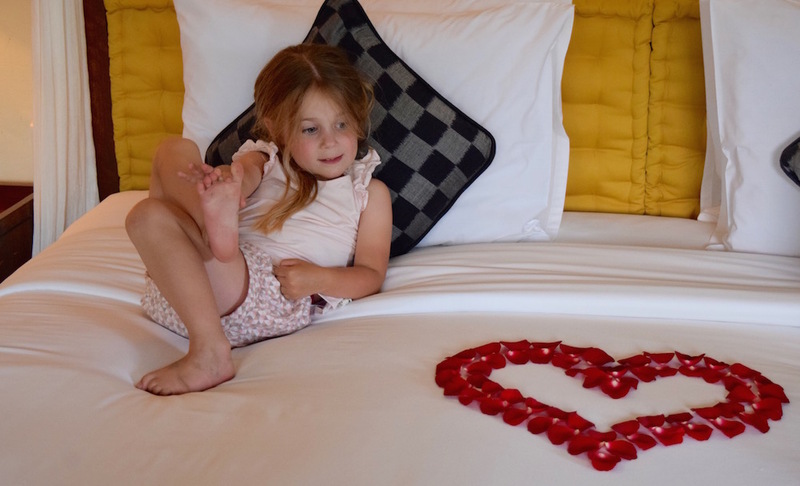 Your children look over the moon with those hearts on the bed, how sweet is that! I love hotels like this that are luxurious but also family friendly. That stunning private infinity pool is mind blowing! 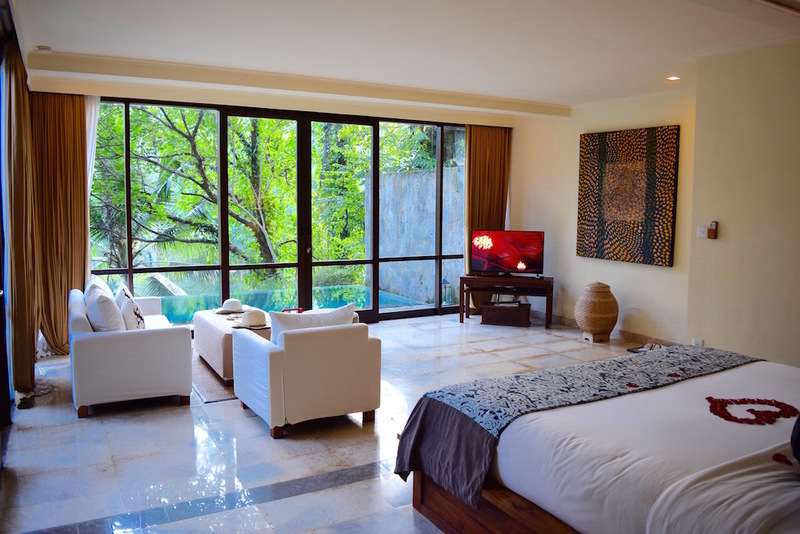 And the villa itself it’s so spacious and nicely furnished. 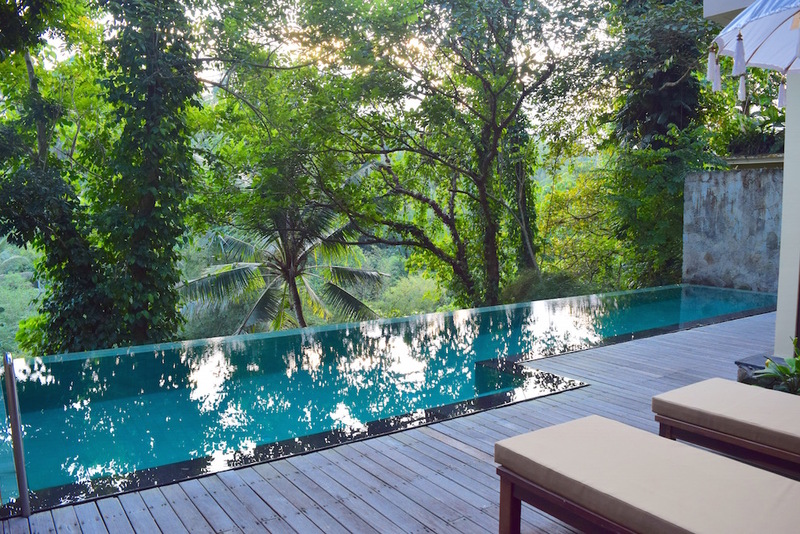 I’d love to stay there if I ever go to Ubud. How lovely that you had an even better room than you expected. Looks completely wonderful. That pool has my name on it!